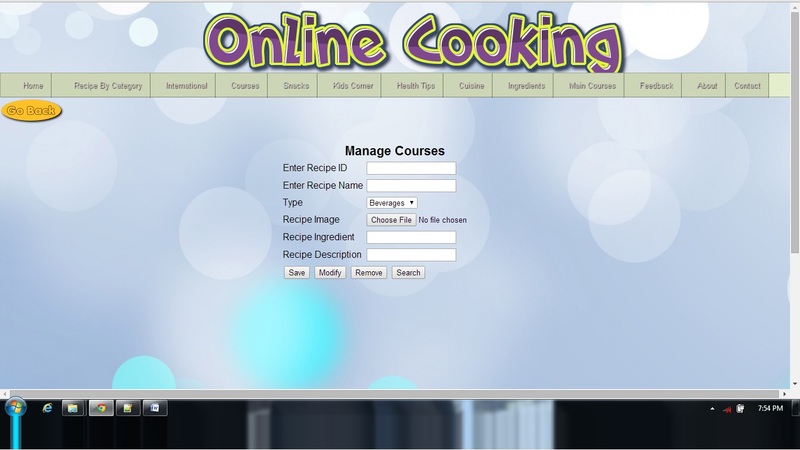 In this project we are going to build a web site which can be useful to learn about different type of recipes. 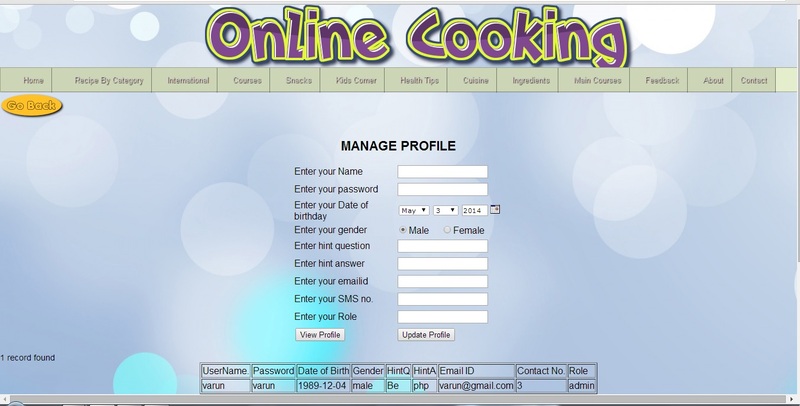 Get the information of particular Recipe . 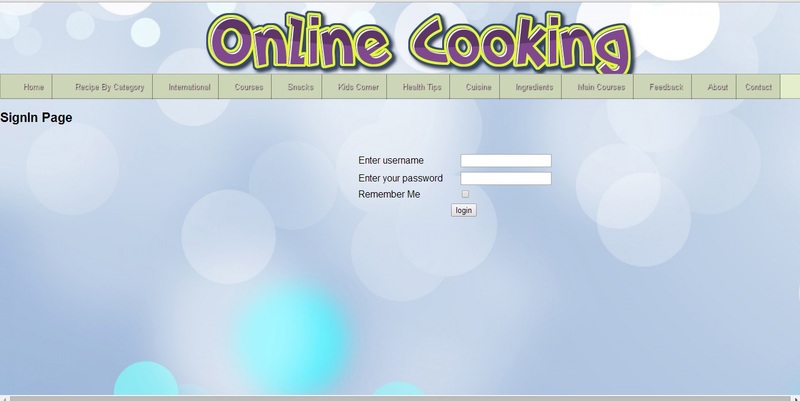 Get the information about Ingredients used for making recipe. Users Can Send Feedback Anytime. Admin can update the Profile at any time. 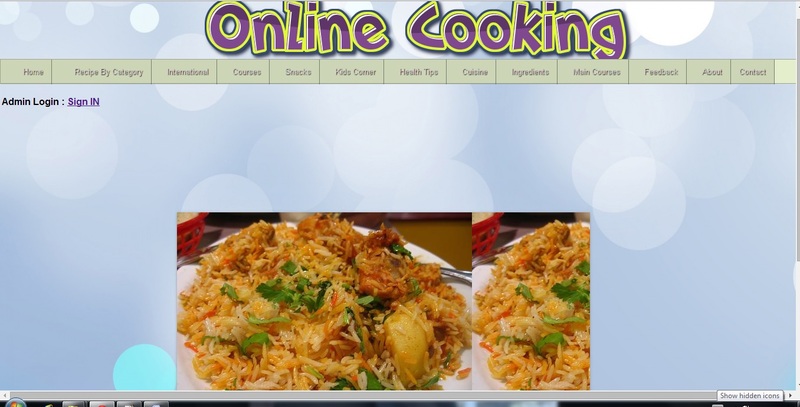 Admin Who takes care of the website and mange the account. 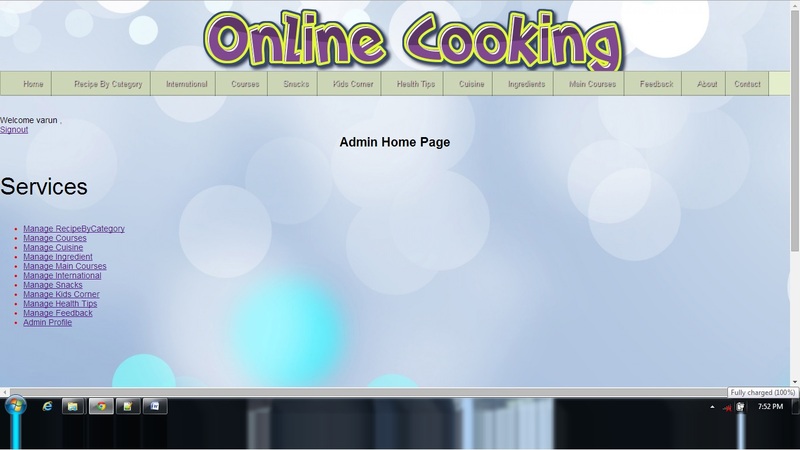 Admin can Add and Modify the information about the Recipe , Ingredients , Description etc.. Various Filterations in data retriving. 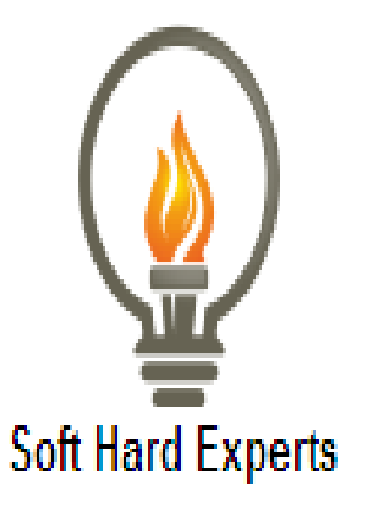 Software Requirement : •	Microsoft Windows 2000/XP/7/8. 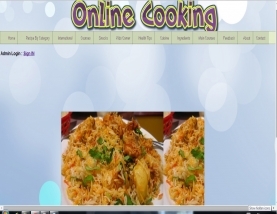 •	HTML/PHP/CSS. •	Apache Server •	My SQL. Hardware Requirement : •	Intel Processor 2.0 GHz or above. •	2 GB RAM or more.